My entire Adventuring is Magic set! I’m going to be selling this, along with the rest of the AiM prints at EQLA. or the comic Friendship is Dragons? have you read My Little Mages or the comic Friendship is Dragons? 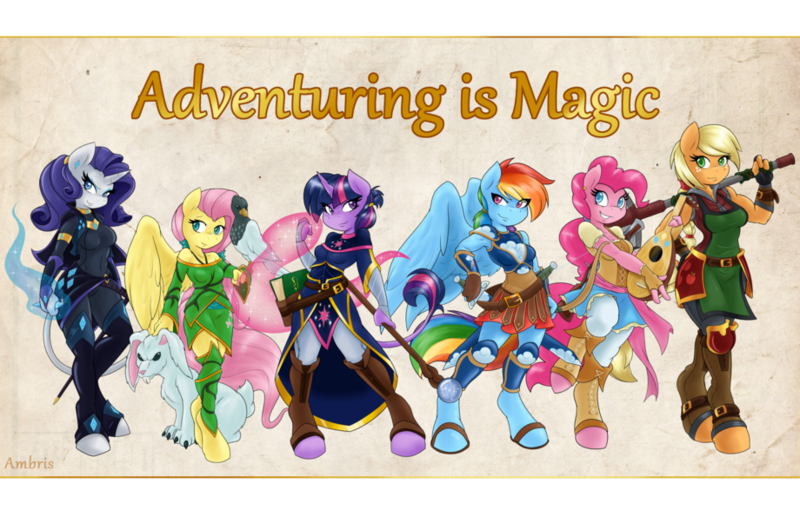 Rarity - Wizard, Fluttershy - Dryad/ Beastmaster, Twilight - Sorcerer, Ranbow - Rogue, Pinkie - Bard, AJ - Warrior. At least that's what I'm getting from my limited experience.